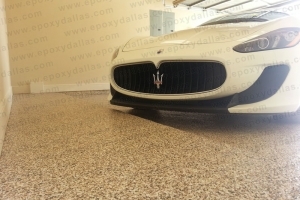 Commercial and residential concrete floors can receive an improvement in appearance and lifespan with epoxy flooring or epoxy floor coating. There are aesthetic advantages, as well as, resistance to water damage, oil stains, and industrial wear and tear. 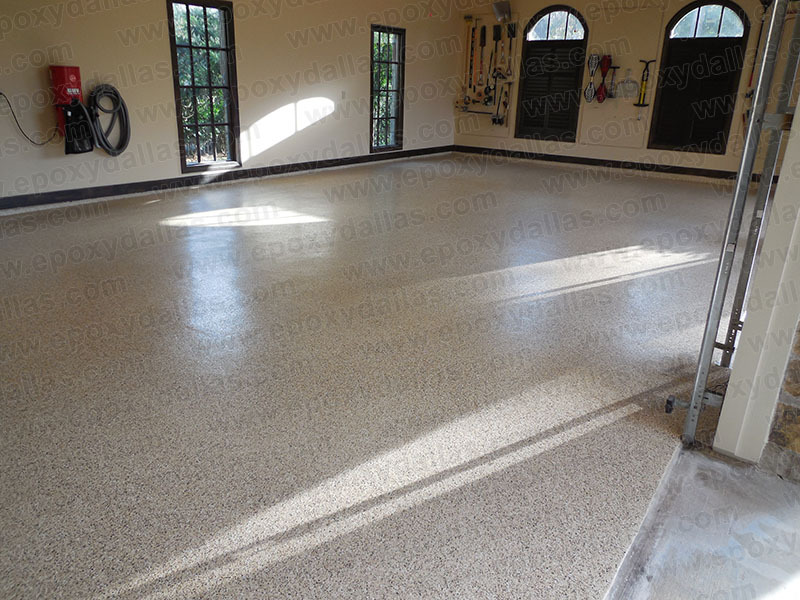 High-traffic commercial and industrial areas are ideal for durable epoxy flooring that is remarkably simple to maintain and clean. Because it is both easy to maintain and durable, commercial settings such as airport hangars and machine shops are designed with epoxy flooring as the preferred option. Clients can choose from an array of textures, effects, and colors to customize the floors in a manner they feel best suits their purpose. 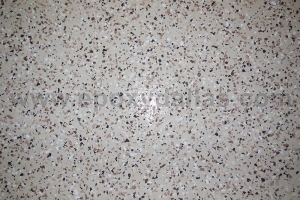 Mixing quartz sand, before applying the coating, is a customizable example that creates an anti-slip surface. Surfaces in the home that suffer from extreme conditions exposure benefit from an appealing, yet strong, epoxy application. 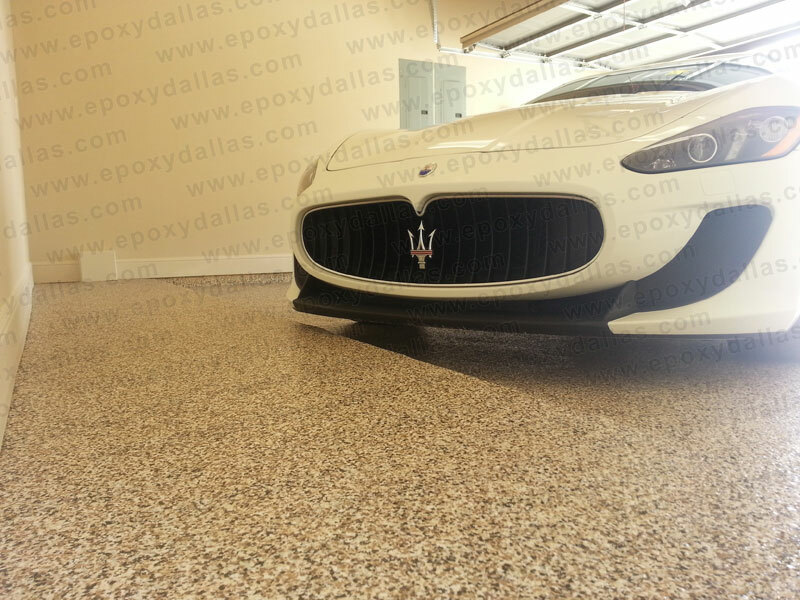 Patios, kitchens, and garages have surfaces that need a tough epoxy coating. A personalized flooring solution can be created with the addition of custom flakes. A selection of colors is available. Speak to a representative about questions concerning rates and residential services. Epoxy applications strongly improve surfaces in commercial areas. Large projects that are more than 25,000 sq. ft. receive special pricing. Projects, exceeding 50,000 sq. ft. are subject to additional discounts. Speak to a representative for rate and commercial services information. Anti-static – Sensitive machinery and equipment that must be in an area where static is eliminated, benefit from the anti-static solution provided by epoxy. 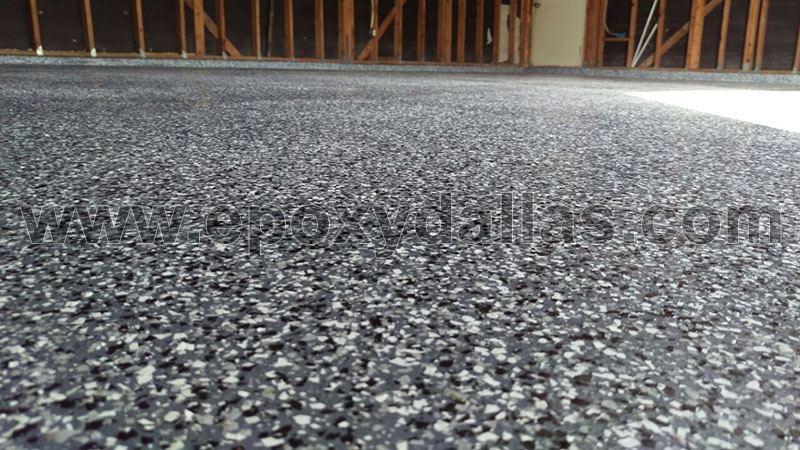 Flaked – Colored flakes or chips added to epoxy creates a decorative floor feature that has anti-slip properties. 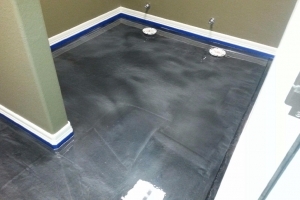 Self-leveling – Residential surfaces, found in places such as kitchens, are perfect for this simple to clean solution. 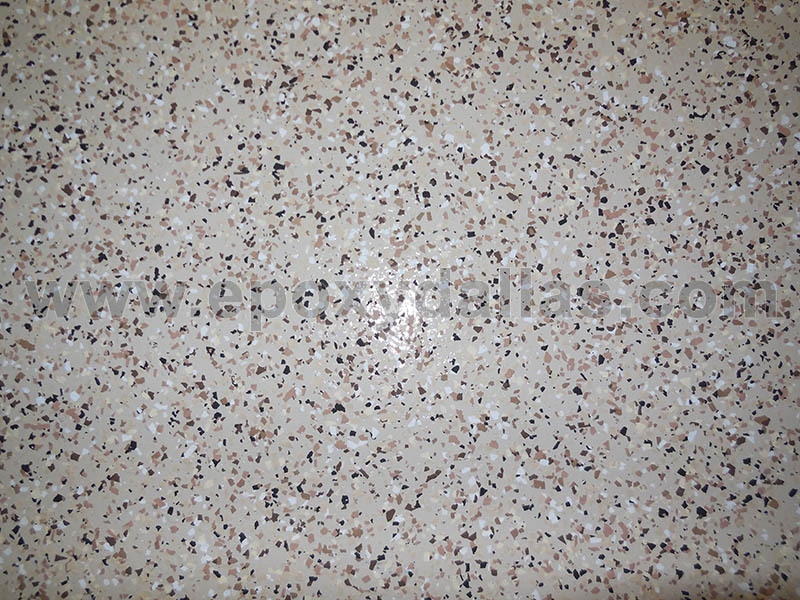 Terrazzo – Large areas are the perfect location for this decorative flooring feature. The thickness of coating ranges from two to three mils to between 40 and 50 mils. Desired aesthetics and depth of preparation dictate the thickness required. The desired slip resistance is provided by numerous manufacture aggregates. Pedestrian areas do not normally need supplemental aggregates. Most coatings meet OSHA regulations. Areas exposed to outside weather may require additional aggregation to maximize slip resistance. Loading docks are excellent examples of areas where worker foot traffic and forklift operation are safer with added aggregates. 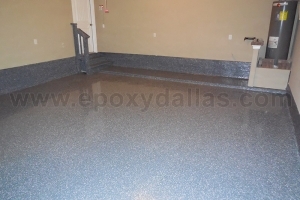 The EPA regulates epoxy floor coatings that contain solvents. 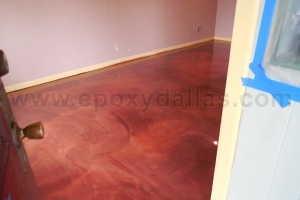 It is best to use 100 percent solids epoxy unless a specific property is required that 100 percent solids cannot achieve. Flakes and chips are comprised of pigments, fillers, resins, and other additives. 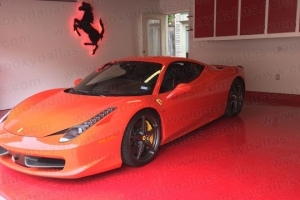 The irregular shape and array of available colors make color and flake chips highly customizable. The color chips and flakes are designed to be used in various decorative applications such as seamless, resinous flooring. They provide unique color and texture to coated surfaces. With a little creativity, these explosions of color create beautiful custom floor coatings. When making the choice to add chips and flakes, decisions arise about flake size, floor coverage, color, and application process. They have distinct floor coating advantages. Common distribution of chip flakes are light, medium, and heavy. A heavy broadcast of chip flakes can achieve the terrazzo look if desired. 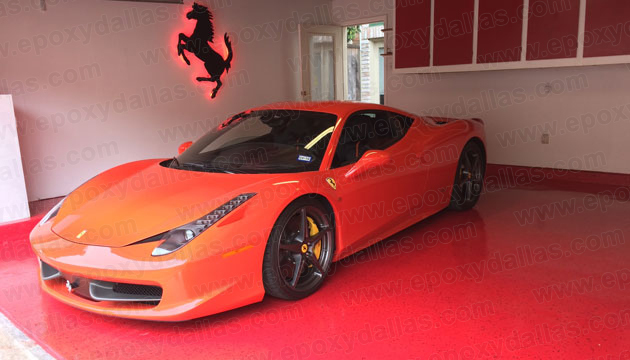 Metallic epoxy coatings are decorative, elegant, and unique. Metallic pigment is added to two-component, 100 percent solids epoxy. A metallic base primer coat is applies first. Then, a squeegee or roller is used to apply the coating. 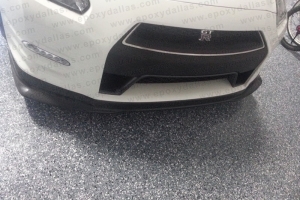 An optional UV resistant or 100 percent solids epoxy may be added. The mixture is created for a particular floor. 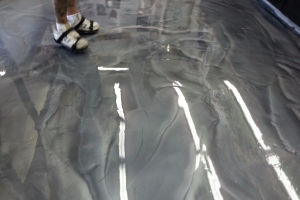 A unique flooring solution with a glassy finish that is noticeably smooth is the result. 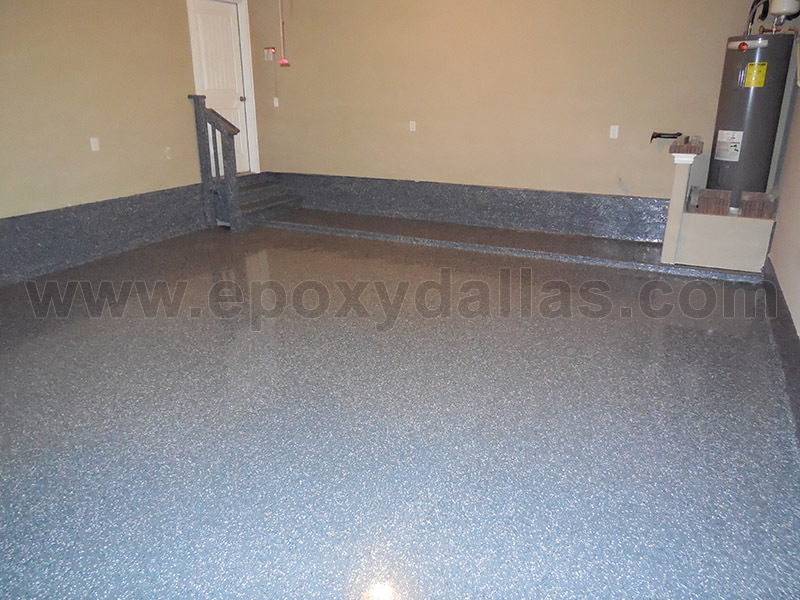 Metallic epoxy floors are a recent market offering. They create a brilliant concrete finish. The metallic additives produce dynamic color changes. 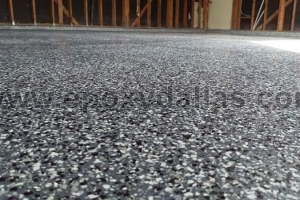 Customers, seeking distinctive finishes, are captivated by the ability metallic epoxy has to transform any area into one with an exceptional finish. 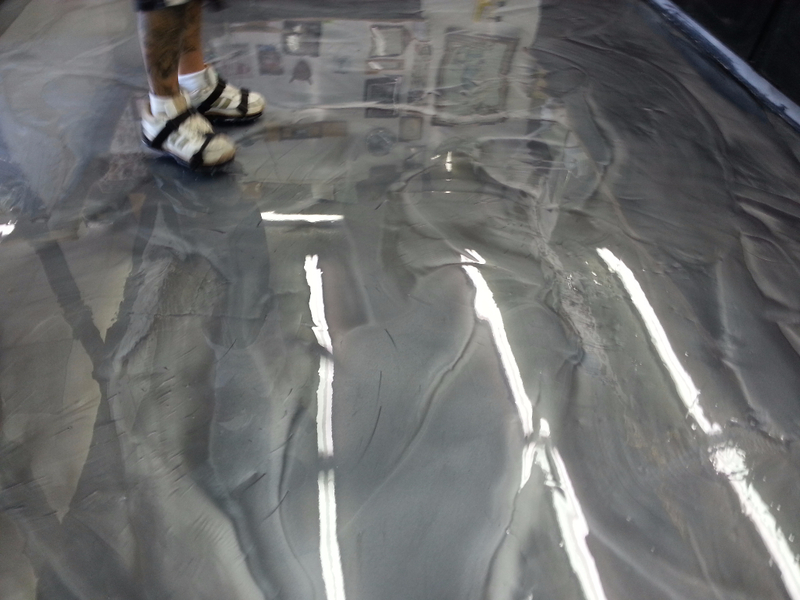 The epoxy floor coating application is not overly complicated. A few careful steps are required. The most important phase is the preparation. Cutting corners causes mistakes. Problems develop later on. The surface must be level and somewhat rough in texture. There should be no cracks and the substrate must be clean for a tight bond with the epoxy. The concrete surface that will be coated with epoxy has to be in place for over 60 days and should not be sealed. Water beading is an indication of sealing. The sealing must be removed. All grease and dirt must be removed completely from the surface. 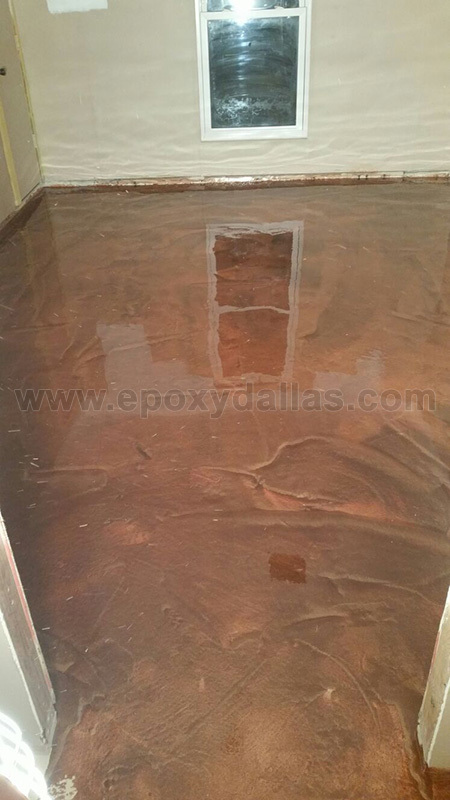 Residue from oil and dust affects proper epoxy bonding. Unattractive bubbling will occur throughout the flooring. The cleaning phase should not be rushed. Avoid cleaning products advertised to serve the purpose. They are extremely harsh and do not work very well. A cleaning machine can be rented, but a thorough cleaning must take place. It is strongly recommended to let an experienced professional perform the process of epoxy application, including the preparation. Professionals carry out the task properly with no oversights or errors. Applications typically take two hours. Painting principles are followed. Installation starts in a back corner and proceeds toward an exit. The floor cannot be traipsed upon for at least 24 hours. Epoxy cures best when left untouched for two to three days. During an epoxy application, thin protective gloves will suffice. When industrial cleaning agents or acetone is used, solvent-proof gloves are necessary. Hardener is the more toxic of the two components used in epoxy. Safety precautions are necessary when applying epoxy to any surface. The substance that makes a great flooring can be dangerous if safety is not made a priority. 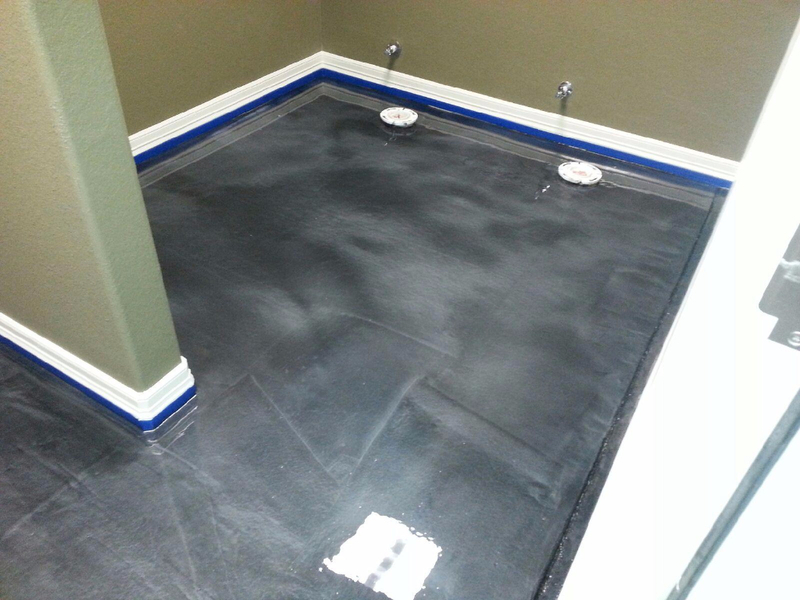 A floor surface, that bubbles, and peels is a likely outcome when an inexperienced individual attempts the application. For a high-quality installation, that stands the test of time, trust a professional company. Industrial grade products are used to clean the surface of the floor. Large surface grinders are used to eliminate any residue from dirt, grime, or grease. Hand scrapers are used for deeper cleaning in hard to reach areas. The finished surface has a pristine clean. Other companies clean flooring surface once. 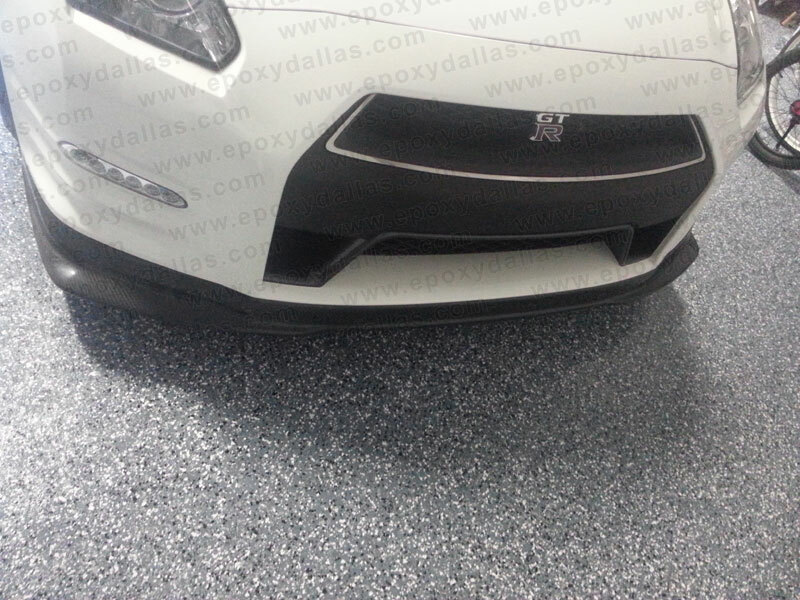 We repeat the process until a completely clean surface result. Some areas, such as machine shop floors, are prone to grease build-up. The degreasing, cleaning, and drying process we use is repeated as often as needed. safety standards. The company cares about our clients and employees. 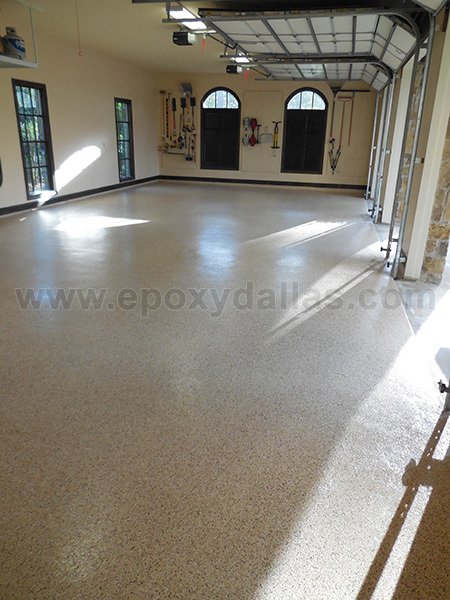 Hardware stores and online sources have kits available for epoxy flooring applications. If you are thinking about moving forward with a commercial, garage, or epoxy kitchen floor, please consider the physical labor required to complete the job. The undertaking is likely to be more than you bargained for. The backbreaking prep work entails hours of cleaning. There is no guarantee that the floor surface will not peel or bubble. 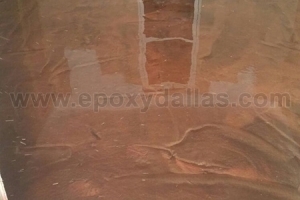 The epoxy mixture may not fully adhere to an improperly prepared surface. Using an epoxy kit often means quality suffers. An experienced professional may need to be hired to redo the installation. Save time and expense by having it done right the first time. 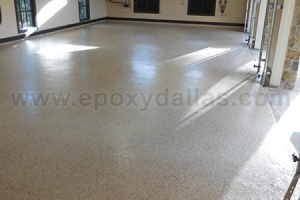 Experienced technicians have installed thousands of commercial and residential epoxy coatings. Our commitment to high standards of safety ensures clients and staff are protected. Contact us by email or phone to learn more about our commercial and residential rates and services. 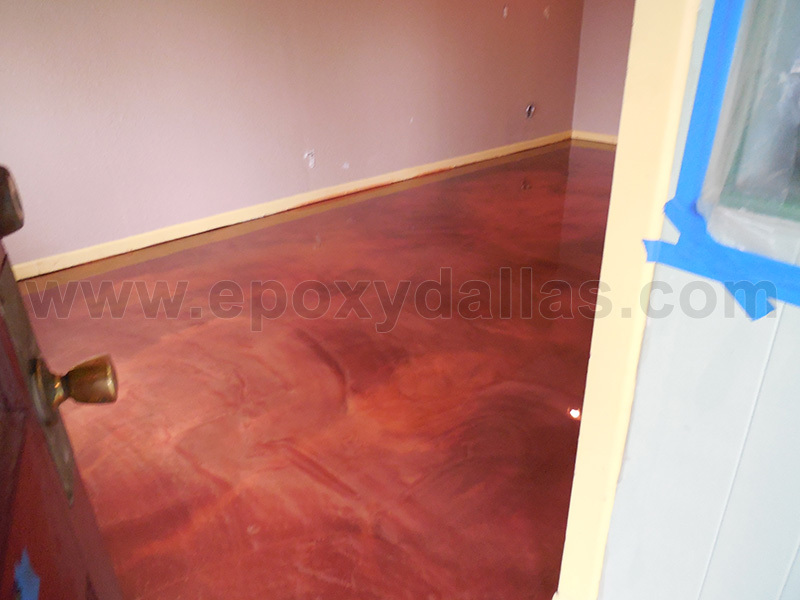 We will also answer any epoxy flooring coating questions.